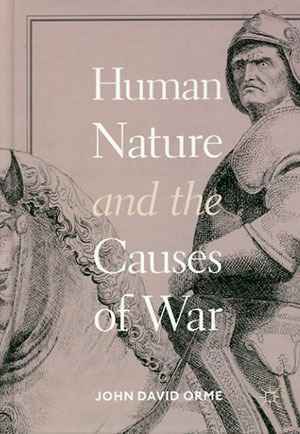 Human Nature and the Causes of War. Wars have shaped mankind’s history since time immemorial. They shifted borders, caused great sorrow, have always existed and most likely always will. History’s most important thinkers assigned war crucial roles in their works. Finding explanations for why wars happen, one might argue, lies at the core of International Relations. John David Orme’s ‘Human Nature and the Causes of War’ is in its essence a critique of the neo-realist explanation for war, which argues that the state of international anarchy causes world leaders to be anxious and fearful. This fear in turn can lead to war. Orme presents the shortcomings of Offensive and Defensive Realism, stating that both ideas fundamentally misunderstand mankind’s reaction to the perceived threat posed by anarchy. He does not dispute the existence of anarchy in the international system, however, by revisiting classical realist thought exemplified by citing numerous authors of political philosophy, he paints the picture of mankind seeking honour and glory. Offering an alternative explanation for war, by slightly modifying classical realism and incorporating psychology, sociology and characteristics of different regimes, Orme argues that human nature’s longing for prestige, glory and more specifically libido dominandi, the will to power, is in fact the main cause for war. Wars occur when revisionist leaders who are either encouraged or unrestrained by their regimes, try to gain territory or provoke other states to attack. Relying nearly exclusively on interstate conflicts to test his explanation for war, Orme presents twenty-three case studies, focusing on six different types of regimes: Monarchy, Republic, and Sultanistic, Charismatic, Praetorian or Totalitarian Dictatorships. Different case studies, covering conflicts such as the wars of Louis XIV, Napoleon’s invasion of Russia, Hitler’s invasion of Soviet Russia and many more, take up the majority of the book and are analysed in detail by looking at a regime’s general characteristics, then more specifically the politics which lead to conflict or war and furthermore an in-depth description of the conflict’s main decision maker. Orme tries to find answers to the decision maker’s impetus to go to war and looks at whether or not the wars and conflicts he describes were advantageous. He concludes by presenting the findings which reiterate his initial statement, that wars happen because of human nature’s yearning for grandeur and admiration. Fifteen of the presented wars were fought over territorial concerns and three resulted from pre-emptive attacks, responding to a credible threat. Monarchies and especially dictatorships appear to be especially prone to war, as zealous leaders are less constrained by their regimes’ structures. Republics are more hesitant to go to war, but can nonetheless react vigorously against adversaries who dishonour them. In order to review Orme’s work, it is necessary to evaluate it from two different angles. To understand his book solely as a critique of neo-realism, providing a new and innovative classical realist look at why interstate wars happen, it is highly intriguing and makes for a great, thought provoking, recommendable read with little to criticise. Indeed, incorporating psychological aspects into International Relations theory allows for an interesting analysis. Simultaneously, it might lead to a certain bias in research. Most people display the character traits Orme builds his assumptions on, therefore he will most likely find them among leaders in situations of wars. Understanding his book as an attempt to explain the causes of wars in general, however, there are a few points worth mentioning. Orme aims to clarify the causes of war, yet, wars occurring between state and non-state actors, proxy-wars or any wars that are not interstate conflicts are not incorporated in his analysis. Over the last decades interstate wars decreased heavily and the most common conflicts nowadays are in fact intrastate wars. Non-state actors are waging wars against states and other non-state actors. The causes for these wars are complex and can be identified as stemming from glory seeking, over religious grounds to territorial conflicts. The current multitude of conflicts appears to be too complex to fit Orme’s description. The introductory chapter would have benefited from a clear definition of how ‘war’ is understood in the research he presents. A clearer characterisation would have allowed the reader to better engage with Orme’s work. Due to a rather short part on research methodology, it remains unclear why the author opted to select examples from over a hundred years ago, albeit representative ones. It is debateable to what extent the conclusions he draws from these examples can in fact be applied to the world of today. Certain conflicts, which would have most certainly lead to an outright war in the past, can today be resolved alternatively by making use of the preventative measures and structures the international community has implemented over the past seventy years. Although the case studies are presented in great detail and allow the reader to develop a sound understanding of the specific conflict’s general dynamics, the introductory part as well as the conclusion appear a little rushed. Orme omits to explain why other International Relations theories are not discussed. Offering an analysis of why something as multifaceted as war happens, one needs to encompass manifold approaches in order to grasp war’s complexity. Neither is it an exclusively neo-realist, nor Orme’s modified classical realist explanation. As every conflict has specific characteristics, explanations will vary. A more holistic approach is necessary to illuminate the nature of war. A book on war, in the current political state the world finds itself in, however, is as timely as ever. It appears as if the world were getting bored by peace. Applying the results of Orme’s analysis to present day politics is therefore necessary. A little reminder of what leaders with an unhealthy appetite for glory, honour and a strong urge for power can cause, might not be a bad idea right now. Kendra Dupuy et. al., Trends in Armed Conflict, 1946–2016, in: PRIO – Conflict Trends 2 (2017). David L. Jacobs: Rezension zu: Orme, John David: Human Nature and the Causes of War. Basingstoke 2018 , in: H-Soz-Kult, 08.11.2018, <www.hsozkult.de/publicationreview/id/rezbuecher-29570>.